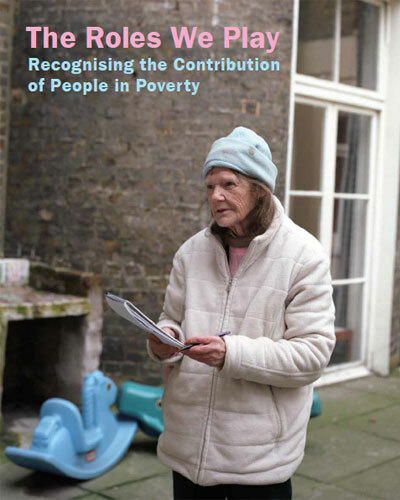 Download The Roles We Play: Recognising the Contribution of People in Poverty for free. ATD Fourth World UK, in partnership with artist and photographer Eva Sajovic, is proud to present The Roles We Play: Recognising the Contribution of People in Poverty. This new book brings together photographic portraits exploring the roles played by those living in poverty within their families, communities and society at large. The aim is to highlight their efforts, validate their achievements and challenge the negative attitudes often held towards vulnerable and excluded families in the UK. "Wherever men and women are condemned to live in extreme poverty, human rights are violated. To come together to ensure that these rights be respected is our solemn duty."